To Provide Advice & Counseling Services to Entrepreneurs, Small Business Owners, & Those Desiring to Establish a Small Business. How to write a Business Plan – The BRC staff will give you guidance on what to include and how to create a successful Business Plan. 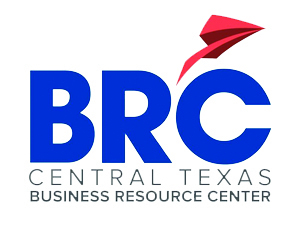 "Have you thought about…" The BRC staff will help by reviewing your business concept with you to make sure there aren’t any red flags that you haven’t considered before you get started. The best way to help make you a successful business owner is to review what might go wrong later as early as possible. You are ready to sell your business, what happens next – The BRC can review potential options with you for your next step. Partnering with the Fort Hood Soldier for Life – Transition Assistance Program to provide business workshops to transitioning soldiers & spouses who are interested in starting a business. To Promote & Develop Commercial, Industrial, & Manufacturing Enterprises in the City of Killeen & to Promote & Encourage Employment & Public Welfare. To Provide Vision, Leadership and Support to Educational, Community & Business Leaders to Create Economic Prosperity Through Effective Collaboration. To Sustain Economic Prosperity Characterized by an Increase in Educational and Skill Attainment, Lower Rates of Unemployment, Diverse Employment Opportunities & a Better Quality of Life in the Community & Region. To Promote Industrial Development in the Killeen Area.